Don Chamberlin, adjunct professor of computer science in the Jack Baskin School of Engineering at UC Santa Cruz, has been chosen to receive a 2009 Fellow Award from the Computer History Museum. Chamberlin is being honored for his fundamental work on Structured Query Language (SQL) and database architectures. SQL, the most widely used computer language for managing data in relational databases, was developed at IBM, where Chamberlin spent most of his career. 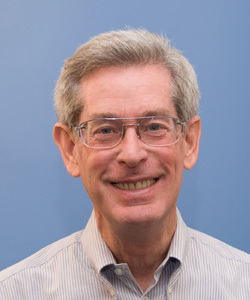 He is a fellow emeritus at the IBM Almaden Research Center and served as a Regent's Professor at UCSC in winter 2009. The 2009 fellows will be inducted into the Computer History Museum's Hall of Fellows at a formal ceremony on October 20, 2009, with New York Times technology columnist David Pogue as master of ceremonies. In addition to Chamberlin, the 2009 fellows include Robert R. Everett, for his work on the MIT Whirlwind and SAGE computer systems and a lifetime of directing advanced research and development projects; and the team of Federico Faggin, Marcian Edward (Ted) Hoff, Stanley Mazor, and Masatoshi Shima, for their work on the Intel 4004, the world's first commercial microprocessor. The Fellow Awards are an extension of the museum's overarching vision to explore the computing revolution and its worldwide impact on the human experience. The tradition began with the first fellow, Grace Murray Hopper, inventor of the compiler, and has grown to a distinguished and select group of 47 members. This award represents the highest achievement in computing, honoring the people who have forever changed the world with their innovations. "The goal of the fellows program is to annually recognize select individuals of outstanding merit who have significantly contributed to the field of computing," said museum president and CEO John Hollar. Chamberlin earned his B.S. in engineering at Harvey Mudd College and M.S. and Ph.D. degrees in electrical engineering at Stanford University. At IBM Research, he contributed to the development of IBM's early relational database technology. His research has focused on languages and standards for database management and document processing, and he is the author of two books on IBM database products. At UCSC, he teaches computer programming classes.